Charlie is a charming, highly persuasive marketing executive for a growing technology company. He’s a delight to work with—until you tell him what he’s asking for isn’t possible. Then, his charm rapidly dissipates. On a good day, you’ll get a reptilian smile with, “I’m sure someone with as many years in the business can find a way to make this work”; on a bad day, it’s a terse “just find a way.” No amount of reasoning will work with Charlie because, in his mind, there are two types of people: winners and losers. And Charlie doesn’t lose. The media is filled with stories of CEO’s, celebrities and highly paid sports figures run amok with their inability to take “no” for an answer. Whether their reactions are all-out tirades or a more subtle approach like Charlie’s, leaders who must hear “yes” at all costs put their organizations’ financial health at risk. Moreover, these win-at-all-cost types create a culture that damages trust. According to Loyola University professor Linda Stroh, people who consistently respond poorly to being told “no” are on track to be perceived as one of the “bad guys”—people who are not to be trusted. Stroh, the author of Trust Rules: How to Tell the Good Guys from the Bad Guys in Work and Life, has done research to uncover the key elements that make a person trustworthy. The ability to accept a rejected idea graciously indicates a person is more likely to be perceived as trustworthy. The thrill of victory. Many business people are former athletes; they enjoy the thrill of winning. When you engage with your colleagues, do you get a buzz when the interaction turns competitive? Be aware: are you unconsciously setting up a win-lose scenario in your mind? Remember, you and the people you lead are a team, not adversaries. If you are somehow thinking you need to “win” the argument, or have your specific idea adopted, you’ve stepped over into trust-damaging territory. The need to be right. My kids often argue over the smallest details, struggling to maintain who is “right” over the debate at hand: “You said that I said that it happened on Wednesday.” “No, I said that YOU said it was on Thursday. I was at Jimmy’s on Thursday, so I couldn’t have done it on Thursday.” And so on, the argument continues over irrelevant minutiae. Sadly, similar debates occur with adults in the workplace as well. The problem is, when we’re embroiled in the discussion, it’s hard to step back and see how ludicrous the conversation has become. When you’re in a discussion in which there are differing opinions, and the debate centers on a small detail, pull back. Can you make the choice to be wrong (or simply concede the point) in order to help the team move on? The tendency to take it personally. Not every disagreement from a team member is an attack on your character or your intellect. Believe it or not, some leaders are perfectly comfortable with their team members saying, “Um, Stacie, that’s a terrible idea, and here’s why.” They’ve cultivated an atmosphere of “tell me if I’m off track” and their employees are comfortable giving difficult feedback. If you’ve never heard your team push back on your ideas, then most likely you are somehow sending the message that disagreement is a bad thing. The next time a spirited debate takes place at a meeting and you feel your ideas are being attacked, remind yourself that it’s the idea being questioned, not who you are as a person. Leaders like Charlie, who see “not taking no for an answer” as a sign of strength, may win in the short term, but their actions have long-lasting negative effects. Their inability to listen to others’ opinions and, if appropriate, concede a point, drives down trust within their team. They overplay the persistence hand, and in doing so, damage not only their personal credibility, but their organization’s ability to thrive. 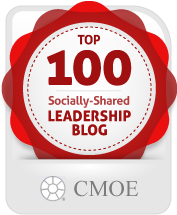 This post originally appeared on Smartblog on Leadership. This post is part of The People Equation’s “Trust-Building Thursdays” series. Each month, we’ll explore trust in the workplace and offer practical tips for building trust with your boss, colleagues, peers and team members. You can see other installments of the series here.